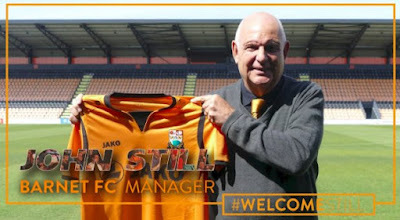 With the relegation of Barnet Football Club and its return to the Conference/National League, John Still has returned as Manager for the second time. John Leonard Still was born in West Ham in April 1950, he joined Leyton Orient as a youth at centre half in May 1967. A knee injury plagued his playing days and he moved to Bishop Stortford in 1970 onto Leytonstone in 1972 and then Dagenham in 1974. Surgery unfortunately didn't save his career and he retired from playing aged just 26 to concentrate on part time coaching while holding down a job as a salesman. 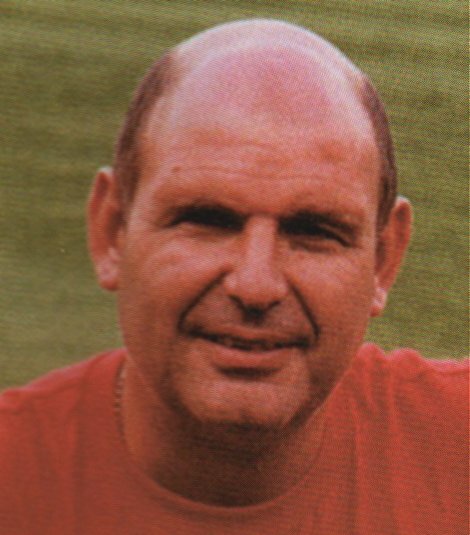 He became manager of Leytonstone shortly afterwards and as Leytonstone & Ilford took them to the Isthmian League title in 1982. 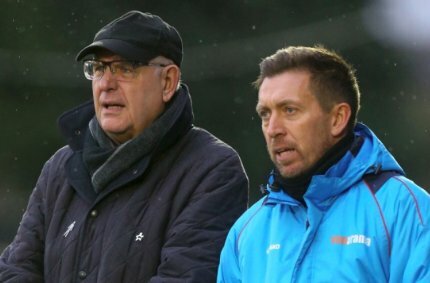 A later move to Dartford saw him oversee a Southern League Premier championship win. Maidstone United came calling in 1986. Three years later he had guided them to the Conference title and promotion to the Football League. Not wishing to become full time he resigned and linked up with a newly formed Redbridge Forest in 1989. More success followed with another Isthmian League title and promotion into the Football Conference. The club then merged with Dagenham to become Dagenham & Redbridge in 1992. 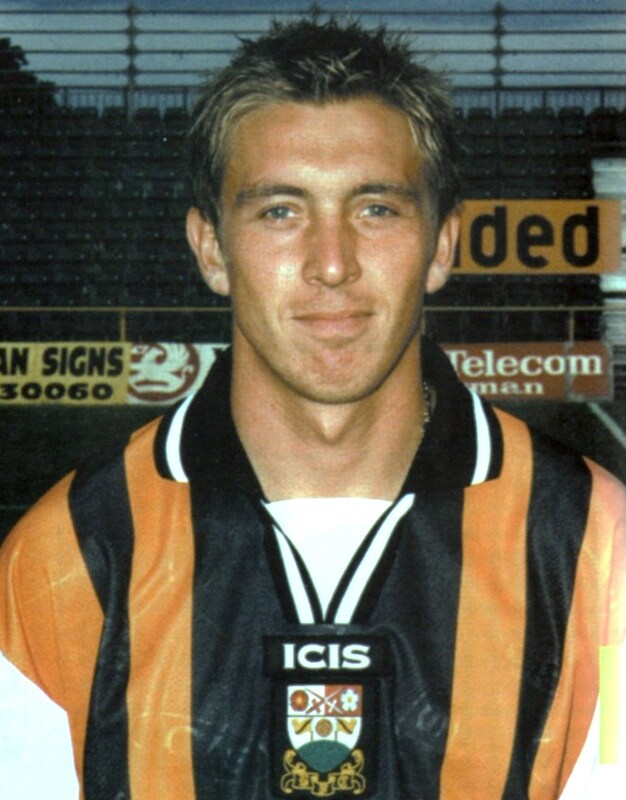 In August 1994 John accepted a full time position at 2nd Division Peterborough United. 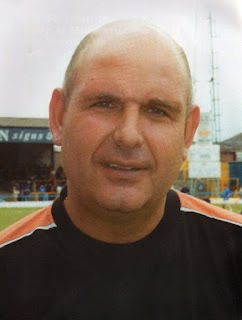 After a unsuccessful stay at London Road he took a short term coaching role at Lincoln City but Tony Kleanthous appointed John as manager at Underhill in June 1997. Money for players was allocated for the first time in a number of years and his first major signings for the Bees came in August when “King” Kenny Charlery signed from Stockport for £80,00 and then Greg Heald from Peterborough, for what is still a club record fee of £130,000. 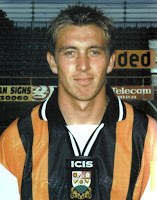 By September Scott McGleish had joined the club for another £70,000 from Orient. The club finished 7th in the 3rd Division to make the play-offs where Barnet lost out to Colchester 3-2 on aggregate. The 2nd leg at Layer Road will always be etched in the memory of John and indeed the supporters as it was a frankly very poor refereeing performance from Terry Helibron. A definite penalty should have been awarded for a foul on Dean Samuels in the dying minutes for Barnet. Had we scored from it it would have won the tie on away goals. Did Terry lose his cool as the atmosphere at the ground that evening was to say the least “heated”? A 16th league finish in 1998-99 was followed in 1999-2000 by another play-off appearance. The Bees loosing out 5-1 on aggregate to Still's former club Peterborough United. In November 2000 Still moved “upstairs” to a Director of Football role with the high profile signing of a player-manager in ex West Ham and England international Tony Cottee. The club were sitting a pretty 10th in the league at that point but a disastrous loss of form soon saw us in relegation danger. Cottee was sacked in March but even with all his resolve and skills John could not stop that eventual fateful day in May as the Bees lost 3-2 to Torquay United in a winner take all game at Underhill. John offered to stay on in his manager/director role allowing 1st team coach Ian Culverhouse to develop and in time take the reins but that never materialised as Ian left the club in January 2001. John resigned as manger a month later but continued his directorship until the end on the season. John's next stop was Bristol Rovers as assistant to Ray Graydon. Financial difficulties within the club led to contact termination in December 2003. 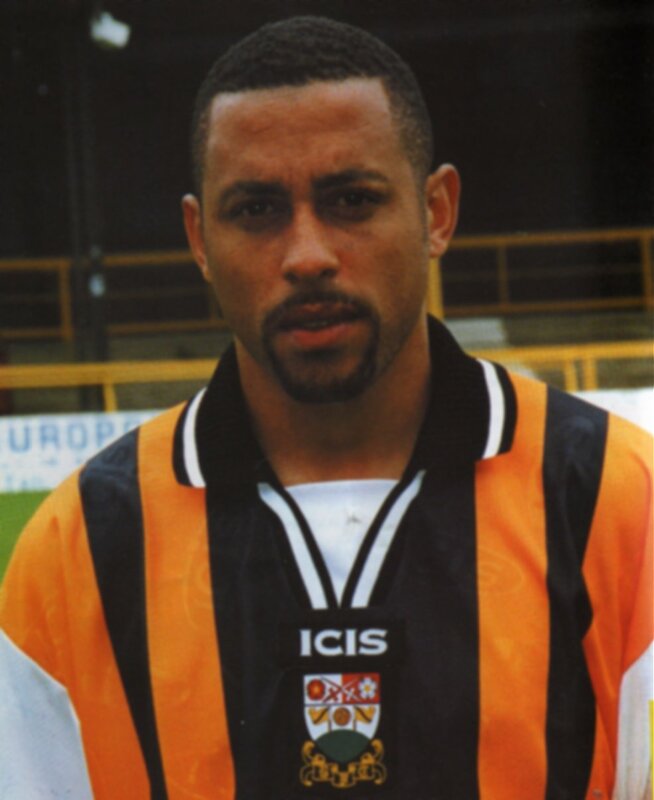 In April 2004 Still returned to the club that has honestly meant more to him than any other, Dagenham and Redbridge. 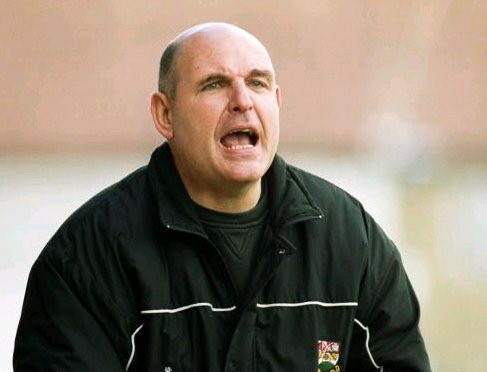 In 2006-7 with still five games left to play The Daggers won the Conference and were promoted to the Football League – the second time John had achieved this feat. In 2010, the club reached the play-off final at Wembley and beat Rotherham United 3-2 to gain promotion to the third tier of the League, an amazing achievement bearing in mind the resources available to him. John was awarded London Sports Personality of the Year to boot! The limited budget didn't make things easy for the club in League 1 and they were relegated at the end of the season. In February 2013 he joined Luton Town with ex bee Haken Hayrettin as his right hand man. By April 2014 Luton had won the Conference title and gained promotion back to the Football League. John had now done it three times! Subsequently John was awarded the Freedom of the Borough of Luton. In December John was sacked by Luton and rejoined a struggling Dagenham & Redbridge. A further three seasons then followed at Victoria Road, and the guard of honour for Barnet after we had won the Conference title in 2015 did not go unnoticed as the work of John. The phone call from Tony Kleanthous came once again. John became Barnet manager for the second time on 17th May 2018. Trying to summarise John's first stint at Underhill is quite complicated as success in reaching two play offs in hindsight was an excellent achievement, bearing in mind the turmoil the club were going through with the ground and the budget resources. We certainly witnessed some very good players through John's connections. 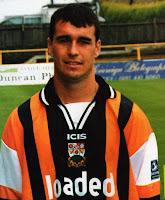 Darren Currie especially along with Heald, McGleish and John Doolan. Yet still the discussion will go on, and will do within more senior supporter circles as how on earth did that team of 1998-99 nearly get relegated and how that side of 2000-1 actually did? 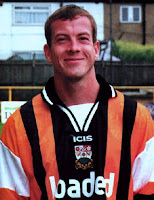 John favoured the long ball game, that didn't feel right at Barnet. Although in fairness did we have the calibre of players to play a passing game from the back through midfield? John has always been approachable and was always happy to listen to criticism from supporters, the Durham Bar was like a courthouse some afternoons after the final whistle. However he is a man that is genuinely liked and respected throughout football and is a fantastic host. 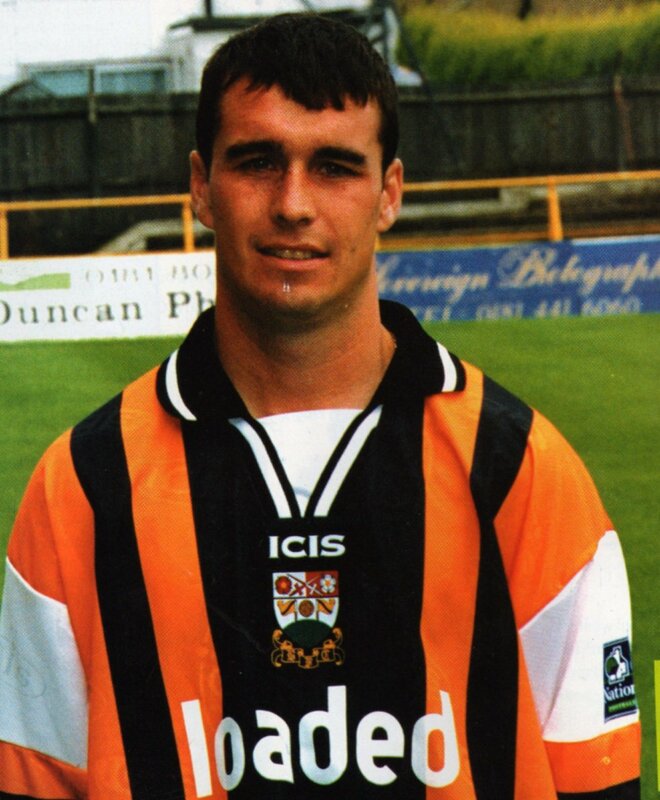 In the Q & A at the Hive recently he said that his favourite player from his previous time at Underhill was the aforementioned Darren Currie - and of course “Ruby” is his current second in command - he has vowed to play his strongest team in every competition. At the first Q and A session when he joined the club in 1997 - one has to remember we had been witnessing/enduring the style of Alan Mullery which with respect was never going to appease Bees fans – we were all sceptical to say the least. I remember asking him if he was a manager who is on the touch line in a track suit barking out orders and getting involved or someone who is happy to sit in the stand in a three piece suit or in the dug out with a cigar? I was wearing a favourite bright amber casual shirt (which over the years had faded and got a little worn) with black jeans. “I see you are suitably attired to have the cheek ask someone about what they like to wear! Are you the fashion Guru here?”. From that moment on on I liked him, even though he would frustrate me bringing every player back for a corner, a tactic that I will always disagree with unless its the last minute of a game. When Lee Harrison's testimonial dinner was arranged in the Durham Suite John was one of the first to accept my invitation and he spent the evening talking to literally everyone and especially to Guest Speaker Barry Fry. When manager of Luton, I had lunch in the corporate with a Luton supporting friend who did not believe that I sort of knew John. His coach and my old friend Haken Hayrettin came into the bar and invited us into the managers office after the game where Martin had never been before even after having a season ticket for 20 odd years. “Now I believe you know John Still” he said as the beers came out of the fridge, “look who's here?” said Stilly. Welcome back John – it goes without saying that I hope by the end of the season (or maybe next) The Hive will feel more like home and you will be making it a fourth time overseeing a return to the Football League. A three times Conference winning manager joining a three times Conference winning club. What's not to like? Thank you to John Paul Patrick Hunt for his contribution to the piece. Tidy.